I never seem to tire of bunting though I've made plenty. I've sewn large bunting for parties in fabric, in paper, in plastic. I've incorporated tiny bunting in designs for cards, for flyers, for bulletin boards, you name it. 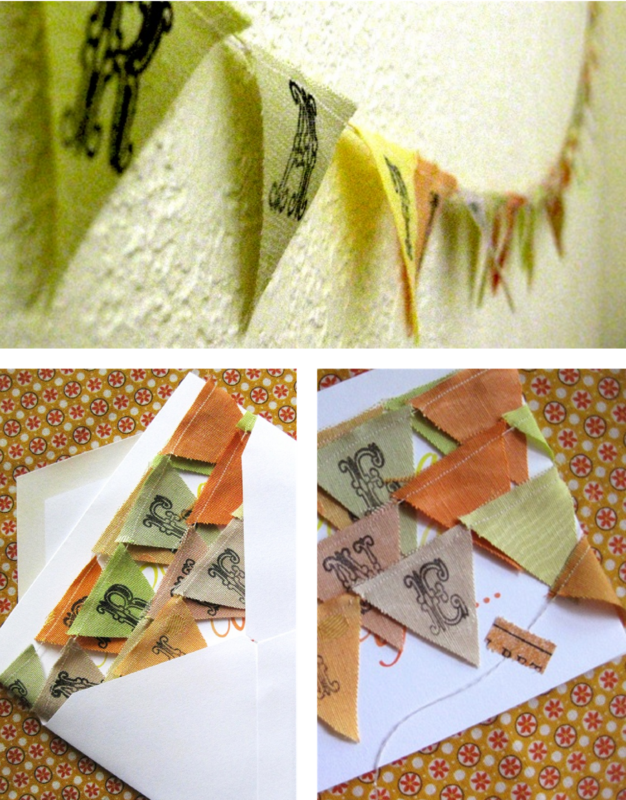 But it's never occurred to me to make tiny bunting as the actual card. I am so loving this clever idea from Cathe Holden that I think I may even whip one up today for my niece's birthday and then maybe one for my newest nephew. What a fun and festive way to use up lots of paper or fabric scraps.